There are several ways to get in touch with Yale University Press. Please choose the group you want to contact from the list below. For premium, corporate, and bulk sales contact the sales department. Yale University Press is a member of Pubnet. We are happy to receive inquiries from media representatives. Media representatives (producers, book review editors, professional reviewers) in North America, Central America, South America: please email your inquiries to our New Haven office at yuppublicity@yale.edu, and include the name of author and the book's title, as well as your own contact information with street address. Please note that we monitor this email address carefully, but due to the high volume of inquiries we receive we are not always able to respond to every message. Media representatives in all other areas of the world: please email Yale University Press London using the instructions here. Click here to visit our page on NetGalley and see the current selection of lead titles featured there. If you have questions about awards, please contact our awards administrator Erika Lake-Thomas. For all the guidelines and instructions an author needs to prepare a manuscript and any accompanying artwork for editing and production at Yale University Press, see our Manuscript Preparation Guidelines. 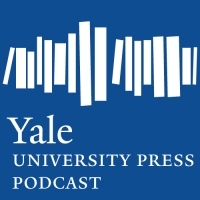 Yale University Press welcomes book proposals and manuscript submissions. Visit the Submission Instructions page for details. Visit the Examination & Desk Copies page for information and order forms for Yale University Press books. Foreign language instructors: if you have questions please email language.yalepress@yale.edu. Other questions should be emailed to marketing@yale.edu. If you are in North America and would like to use material from a Yale University Press publication, please email our rights and permissions department. For the rest of the world, and for information about translation rights, please consult the instructions at the Yale University Press London's rights page. For audio rights only, please email Danielle D’Orlando. For all other rights inquiries, please email the rights and permissions department. If you are an educational institution requiring a digital copy of one of our books for a student with a print disability, please consult Bookshare.org, where our current titles are archived for this purpose. If the title you seek is not available there, you may then contact us directly. You may send any questions regarding your royalty statement to our royalty department via email. We are also happy to update our records when your address changes; please email or call 1-203-432-0946 (fax 1-203-432-6862). Comments or questions about the website? Email us. If you have questions or need assistance with accessing course resources, email us.